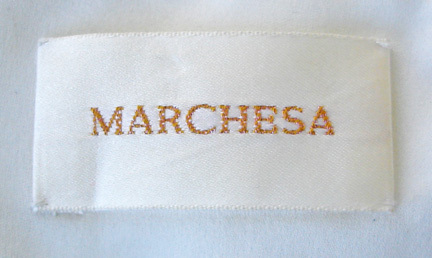 A very special entrance gown being offered by Marchesa's top-of-the-line 2009 collection. Enchanting to look at with great visual appeal. No wonder celebrities galore are continuously seen on the "red carpet" in these magnificent gowns. Offered brand new in a very wearable size 8. Orig retailed at $12,500 plus tax. 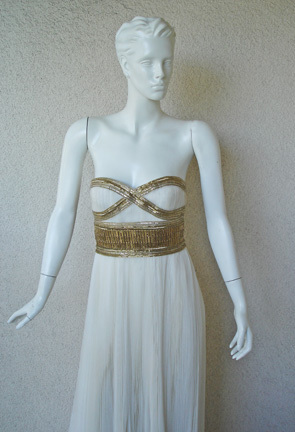 Strapless boned bodice with criss-cross gold beaded trim extending and encircling waistline. 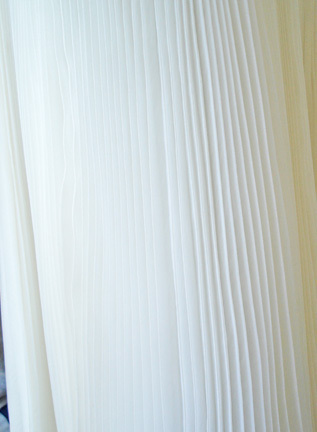 Entire gown is fashioned of white hand pleated silk chiffon and lined. 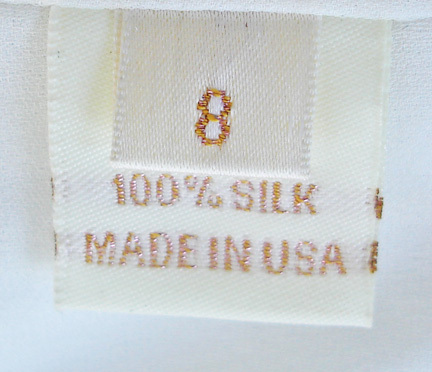 Back zipper closure. 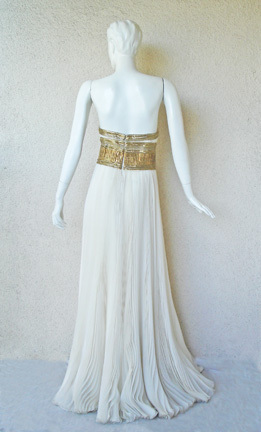 Drapes on the body just like a Grecian Goddess! A stunning choice with high fashion impact! Beautifully made and designed.